KNO3 - Potassium Nitrate: Provides Nitrogen (N) and Potassium (K) for feeding aquarium plants. 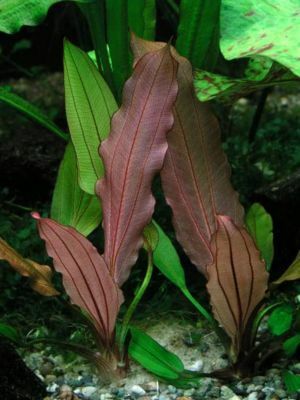 Quite often in a planted aquarium the plants absorb so much nitrate that it becomes a shortage and limits the growth of the plants. So aquarists add it manually. To make a typical stock solution add 40g of dry KNO3 powder to 500ml of RO or distilled water and then add 10ml of this per 100L of tank. This will give you a value of 5ppm. One quarter tsp or 1.4g of KNO3 with give you 4.5ppm increase of Nitrate in 190L (50 US gallons) of water. Note too much Nitrate in the aquarium can damage your aquatic animals and any increases in levels of nitrate should be done gradually. See PMDD for more details and suppliers. Nitric Acid, potassium salt, salt peter, nitrate of potash. This chemical is hazardous in case of skin contact (irritant), of eye contact (irritant), of ingestion, of inhalation (lung irritant). Prolonged exposure may result in skin burns and ulcerations. Over-exposure by inhalation may cause respiratory irritation. Keep the item away from heat and other chemicals as it may cause explosions. See a MSDS (Material Safety Data Sheet) for details. This page was last edited on 24 February 2011, at 06:14.